AVRIL Organic Lipbalm moisturizes*, smoothes and protects your lips daily. Its formula rich in organic shea butter and organic macadamia oil repairs dry and chapped lips. 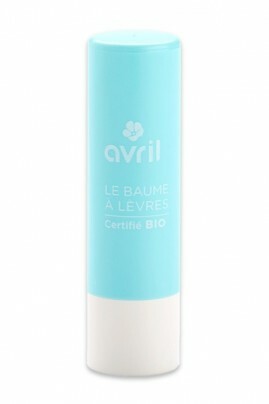 Avril Organic Lip Balm is a must-have to keep your lips soft and beautiful ! TAKE YOUR AVRIL ORGANIC LIPBALM EVERYWHERE WITH YOU ! Apply AVRIL Organic Lip Balm at any time when you need it. It can also work as a primer for your lips before applying lipstick : apply the balm then do your face and eye makeup first, this way you will get moisturized and smooth lips ready for some lipstick ! YOU WILL CRAVE FOR ITS ULTRA SOFT 100% NATURAL FORMULA !